On the Monterey & Carmel Coastal Tour, travel down California's scenic, rugged coast and tour two towns known for their beauty and charm. Enjoy personalized service, a modern and luxurious vehicle and professional guides and drivers, who narrate this 11 hour adventure. 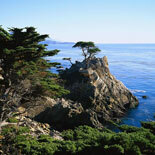 The Monterey & Carmel Tour is approximately 11 hours in length. 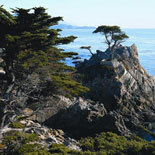 The tour price includes the entrance fee into the 17-Mile Drive. The 17-Mile Drive will be closed during Pro Golf Tournaments. As San Francisco's most popular touring company, they take pride in personalized service, modern and luxurious vehicles and professional guides and drivers. They invite you to come sightseeing with them and experience why Tower Tours towers over the rest! 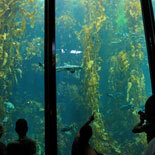 Make your reservations today and get your eTickets for the Monterey & Carmel Coastal Tour! And don't forget your camera! Tours depart at 9:00 am. Thanksgiving Day, Christmas Day, New Years Day, July 4th. Reservations are required. Ticket will have details on confirming tour time for date selected. Reservations are required at least 24 hours in advance of desired tour ~ Complimentary Shuttle pick up is available from your San Francisco hotel. 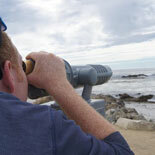 They do not provide pick-up service for guests staying in the East Bay, South Bay or North Bay. However, they recommend you take BART (if from the East Bay) or CALTRAIN (if from the South Bay) into San Francisco, and from there arrange a pick-up within San Francisco. For further details, please contact Customer Service (the number is on your eTicket) ~ At the conclusion of your tour, you will be dropped off at the Stop nearest to your hotel location. 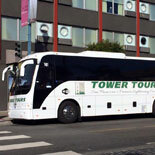 If you have a tour package with an add-on attraction, there is an option for a shuttle from the Tower Tours office ~ Meals are not included in the cost of our tours, however there will be time allotted on your tour during the rest stops to grab food and drinks ~ There are restrooms on the bus ~ San Francisco weather changes day to day. They recommend you bring a light jacket or wear layers ~ Tower Tours has a 24-Hour non-refundable cancellation policy.